Breakfast was wonderful. rooms were big, clean and new. Pool area was awesome. Food and drinks at pool bar were great, delicious and not super expensive. good location. would stay again. satisfaction for everything. no complaint. It's a great stay at this hotel. We really enjoyed our stay and cannot fault it. Location is excellent next to the mall, staff were all very pleasant, facilities are good and the rooms are spacious. Would recommend if it’s sunny to get a sea view as it’s worth paying the extra money to watch the sunset from your room. We ended up staying multiple times at the grandis as we were so impressed. Le Meridien KK is a fantastic hotel. The views from the Sea and Ocean view rooms is breath-taking; the breakfast buffet is exceptional; the staff are phenomenally helpful and friendly; the location is very central. .. I can't think of a single critique. The executive lounge (available to Ocean view room occupants) is wonderful and has a snacks and drinks (alcoholic and not) buffet available in the mornings and evenings. It's a lovely place to sit and work, especially at dusk where you can experience the best view of the famous KK sunsets. Nice hotel 10 minutes from the see, markets and malls. Clean rooms and friendly staff which always ready to help you. Breakfast is also good. Recommend this hotel for staying. Хороший отель в шаговой доступности от рынков, набережной и супермаркетов. Хороший персонал, приличный завтрак. Location was good. Bank, food, tourism board office , malls are all in walking distance. We miss the Sunday Gaya Market which is just near to the hotel. My last 2 days holiday trip stay here, everything is good. i like it so much,air cond very nice. overall got 1 problem, no chinese tv channel. only got korean channel(i am not korean fan). restaurant still under renovation. hope next time i come i already finish build up. i love this hotel. It is strategically located. the hotel is practically near everywhere you want to go, except the Floating Mosque. It's just a stone's throw away from Atkinson Tower, Sunday Gaya market and Yummy restaurants. 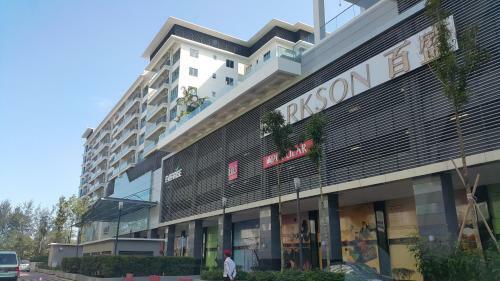 It's also only a short walk to the Waterfront, Suria Sabah Mall and the Signal Hill Tower. As for the Floating Mosque, just Grab it. The staff is also very accommodating and helpful. The hotel is very clean and comfortable. If you are not driving then this is the best hotel to stay. Facilities all new. The hotel just renovated. It worth every penny you’ve spent for this hotel. From my own experience with the hotel, the room is superbly clean, all electric function nicely without any problem, plus I love the peaceful quiet area of the hotel. clean and fast service, fast Wifi signal too..
All is good. Bed is comfy. Air-con is cold. Room is clean and atmosphere is just great! The only bad thing about the room is that the water pressure is not that strong but okay. Good value for money. Location is perfect and staff are super nice! The room is very clean, bright and safety. I would like to come here again! the locationis strategy. the staffs showed their friendly. I just finished a weekend visit to Lintas View Hotel, it brings back great memories from when I first arrived in KK. This hotel is comfy with helpful staff and good sized rooms (I prefer the ones facing the driving range for the green view and amazing sunsets). Plus the community is a great place to explore from as it's not far to KK city by scooter, car or Uber but you have everything you need right nearby without going anywhere too. You've got delicious food options both morning and night, 24 hour convenience store, pharmacies, driving range, shopping all within walking distance. I highly recommend the A1 Chicken Rice shop nearby for some of the best Chicken Rice you'll get in the city (maybe anywhere). If you are looking for a good hotel with comfortable beds and good value, you can't go wrong with Lintas View Plaza --- we stayed in another hotel in the neighborhood first when we booked online but quickly realized that Lintas View Plaza was much better! Enjoy your stay! Nothing to complain. Very good service starting from check in until check out. Very happy stayed 2 nights there. very good location. 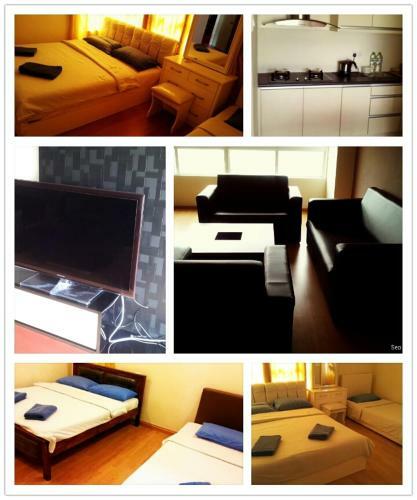 walking distance to Gaya Street and nearby shops. High recommended to traveller. very clean hotel and nice breakfast. Location is good! Walking distance from seafood restaurants, the Sunday Gaya Market, and shopping mall. Breakfast is a little poor though since they undercook the chicken (first and second day), but all others are good. For it's location and service, the price is affordable! Shoutout to Mr. Jifri and to everyone in the reception for being so accommodating! All of their staff are actually nice and everyone always greet you with genuine smiles! Would definitely recommend anyone who wants to visit KK here! Consulate of Australia is just one of the fantastic sites in Kota Kinabalu. Agoda.com exclusively offers the lowest rates at hotels near popular Embassies and Consulates. A variety of hotels can be found near Consulate of Australia, such as Borneo Global Backpackers Hotel and The Magellan Sutera. Agoda.com's secure on-line booking form makes it easy to reserve hotels close to Consulate of Australia. Hotels are easy to review via our Kota Kinabalu city page, equipped with convenient search tools and extensive hotel information. Over 3,500,000 travelers have chosen Agoda.com to find the perfect hotel near places like Consulate of Australia.